Price Excluding Tax & Transport. Production capacity - 350/hour. It requires 3 Phase Electric connection. 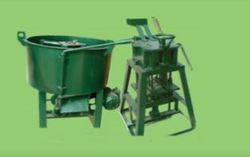 We manufacture machine with different capacity and different mode according to the need and demand of the customer.As inquired by you , the production capacity of our top press semi automatic fly ash bricks making machines are from 850 bricks/ min to 2500 bricks/ min. Power requirement for our product is from 15 KW to 23 KW. Specifications are Subject to change for Improvement, Specification, Weight, Volume are approximate Only. 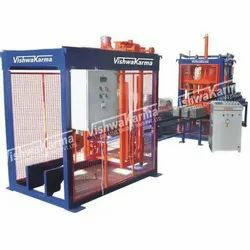 These machines are suitable for the rural part of India and brick machines of capacities of 8000 to 10000 bricks per shift are very good.